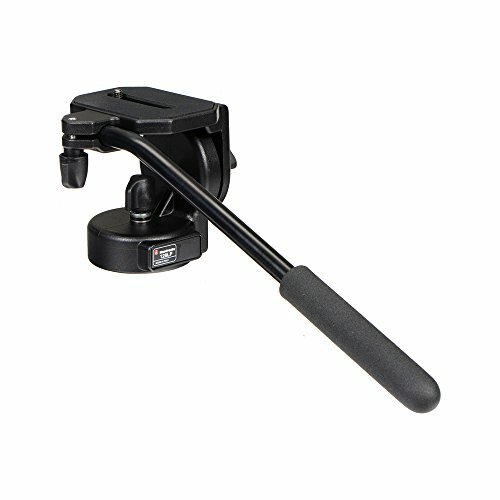 The micro video head is perfect for lightweight video cameras, and includes a pan bar. 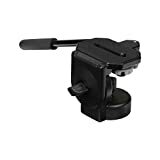 It has smooth fluid movement, pan and tilt locks. The pan bar can be positioned either on the left or right side. Optional Plate Adapter: 625, 323, 394,577. 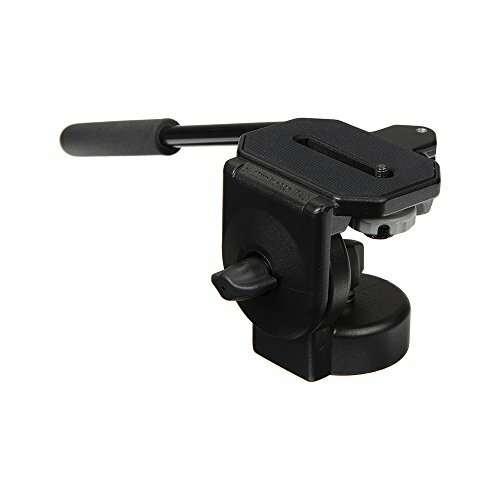 Attachment (bottom): 3/8- Inch female thread; color: black; – 90Degree / +90Degree tilt range; height: 4.33 in. ; load capacity: 8.82 lbs. ; material: aluminum; panoramic rotation: 360 Degree; plate type: fixed – with 1/4- 20- Inch screw; tilt drag: continuously adjustable from 0 to max level; weight: 2.20 lbs. ; working height: 4.33 in.